Last Valentine’s Day, I didn’t receive a flower from the husband. It was not utterly heartbreaking, but I just couldn’t find the essence of the occasion without the flowers. After all, I’ve been used to receiving them for about 15 years. That’s when I saw the value of his gift. Not that flowers can easily be bought anywhere during Valentine’s Day, those blooms are his way of being constant. He would often tell it is just so hard for men especially for him to multi-task. So he would do things one at a time, carefully and patiently. That shows his tenacity. He dislikes many options; thus he prefers not changing bags and essentials. He also favors the same shirts and shoes for years, and not too keen on having accessories than a watch. He has simple needs and wants. That makes him one uncomplicated man. His faith in the Lord never fails. All his decisions, he entrusts to the All Mighty. He always gathers his family for the Sunday mass. And many times, I saw him say his prayers in the morning. That makes him one faithful servant of the Lord. In all that my husband does, he shows consistency. He had seen me at my best and worst. He had seen me so excited I couldn’t sleep at night, so he smiled with me. He had seen me laugh so hard I couldn’t breathe, so he laughed with me. He had seen me suffer in pain I couldn’t do anything but cry, so he held me tight. He had been there to pray with me when I needed it most. He had taken the weight I put on his arms, often without complaint. And he is still there when I almost left him. You see, he has always been constant. And though I denied it many times, he is my constant. I don’t know if this latest struggle we are experiencing has made him tough and indifferent. I am yet to see if he will bring me those flowers this Valentine’s Day. And how I wish he would. Because that would mean I am still his constant love just like how his flowers have been his constant message of appreciation, affection, and faithfulness. May my realization not a moment too soon. Don’t waste time. Express your love and appreciation to the person you love the most. And now that I have understood my husband, I recommend that you send your loved ones some flowers, too. Plants wither and die too soon. But their effect on the receiver creates a significant impact on the person’s wellbeing. This is aside from the fact that flowers boost one’s mood and give feelings of happiness. I remember those days that our house was filled with blooms. Their mere presence reduces stress and helps me find peace of mind. Anecdotal evidence says that flowers also have a healing effect to both the giver and receiver. Both feel happiness giving and receiving. Those blooms have the power to cheer us up and yes, even increase our productivity. They improve our attention span and also boost our health. Have you ever wonder why flowers are a favorite gift on hospital visits? Based on experience, flowers create intimate connections and strengthen bonds with family. I remember displaying flowers by our dining table and its effect on the kids was just too overwhelming. The flowers brightened their mood, I must say. Often, during Valentine’s Day and Teacher’s Day, my boys give roses to their teachers. They must have seen it from their father. And they must have felt the effect of flowers, too. So What’s Not to Love about Fresh Flowers? Well, I have something in mind. I will give my husband some fresh flowers. I will also be sending some to my mother and my three high school boys. I want them to feel how I feel whenever I receive bouquets from their father. Those flowers liven up my soul. And since I don’t go out often, one convenient way to order some fresh blooms this Valentine’s Day is through Flower Chimp Philippines. It is an online flower delivery service in the Philippines and Southeast Asia. From the many flower delivery services I checked, Flower Chimp do same day delivery to anywhere in the country for free. Checking on their website, we can choose from a wide selection of flower arrangements. From hand bouquets to vase arrangements, boxed bouquets, and flower stands, Flower Chimps have them all. And for the coming month of the hearts, they have launched their Valentine’s Day’s 2019 collection. We can make add-ons to our chosen bouquet from Teddy Bears to Ferrero Rocher chocolates and the likes. We can also opt to pre-order. This mother is just so excited for Valentine’s Day. I wonder what my boys’ reaction would be as they receive their roses. I am pretty confident that those flowers will communicate my feelings for them. It is the secret language of blooms that works like a charm. They express how one feels and cares without even saying a word or two. Yes, flowers will eventually wither. But that’s exactly the part I love about them. Their appeal is just so contradicting. They live short yet their effect on me – and I assume to most ladies – is long enough to brighten a day and eventually feel loved and nurtured. Place your order now and show your loved ones that they are forever your constant- That as flowers fall, wither, and die, your love endures forever. I’d love to receive flowers too but I discourage my husband kasi I don’t know where to put them pag nag-wilt na. I always tell hime to buy me chocolates pag walang pera, or watch or jewelries pag may budget sya eh hehehe. I love to receive flowers anytime, not necessarily on V day! 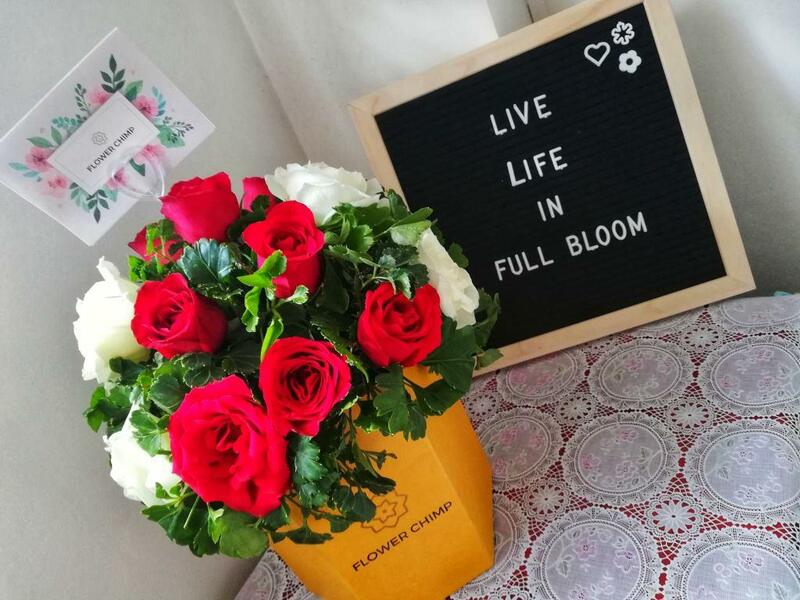 I checked the online shop and love their bloom offerings! Me too! 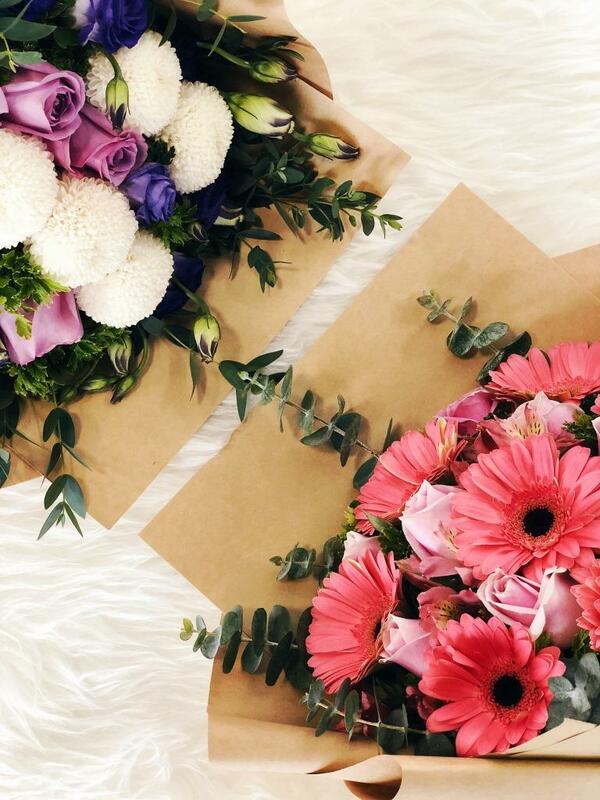 There’s really something about flowers that we love. Kahit nga bulaklak ng santan eh.. pag binigay sayo, napakalaking bagay na. Kahit walang special occassion, kapag may pa-flowers, parang may okasyon na. di naman sila nag deliver. ang daming taong galit na galit ang nasira ang valentines ng dahil sa flowerchimp na yan! !